FRANKFURT -- ZF Friedrichshafen has won an order worth billions of dollars from BMW to supply gear boxes, giving the German auto supplier breathing room as it prepares to navigate the switch to electric vehicles. The order for automatic gear boxes for internal combustion engines, including a hybrid variant which combines fuel with electricity, is the biggest in ZF's history, CEO Wolf-Henning Scheider said on Thursday. 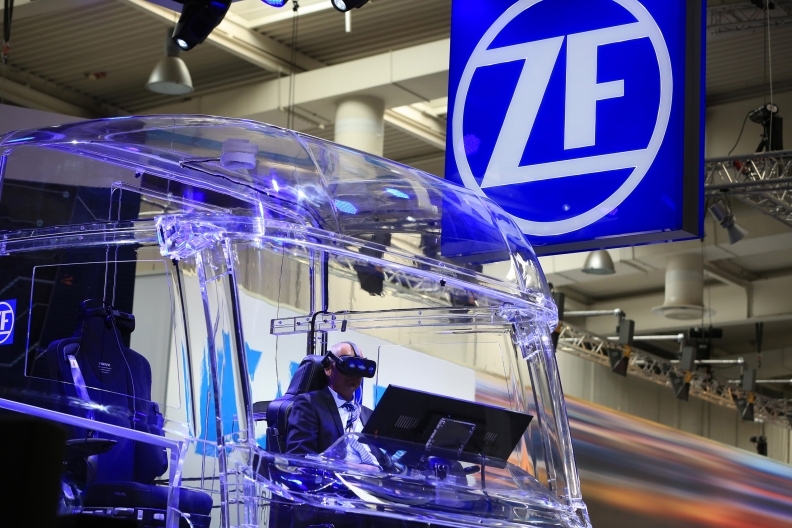 Higher r&d spending, increased material costs and a weaker automotive market chipped away at ZF's operating profit in 2018, with a fall of 9 percent to 2.1 billion euros ($2.4 billion) on sales of 36.9 billion euros. ZF said the market would remain challenging this year due to ongoing political and economic uncertainties and forecast sales of between 37 and 38 billion euros. The company is betting on strong demand for hybrid vehicles as the auto industry shifts away from the combustion engine towards electric cars in a bid to reduce emissions from driving. Hybrid vehicles are expected to appeal more to consumers than electric cars as they help overcome so-called "range anxiety" or the fear of running out of power before reaching a charging station. "We see plug-in-technology, at least over the next decade, as a good solution for customers," Scheider said. ZF last week agreed to buy U.S. rival Wabco for more than $7 billion, an acquisition it has long targeted to bolster its expertise in autonomous-driving technologies. Scheider said ZF would specialize in autonomous driving for commercial vehicles from van size upwards, such as robotaxis, as it believes the technology will be too expensive for private passenger cars. "On the other hand, for commercial vehicles, it is a technology that pays for itself very quickly," he said.